Having a conversation with a new student can be like pulling teeth. You get all hyped to greet them to only ha ve them give you the least amount of info about themselves. Getting their name and letting them know you’re glad they came would be a success, anything more is a bonus. I would say the success to a “bonus” filled greeting would be open ended questions, follow-up questions and being intentional. So I want to give you a few steps in this area. In the early stages of the conversations you really want to ask questions that you can refer back to in the conversation. Examples: family, sports, school, their church history and etc… I do this so that when I hit a dead end I can ask more questions about one of these areas. 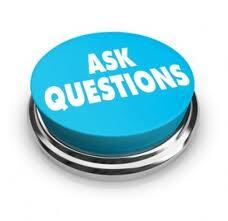 Open ended questions are great because you can gauge their level of commitment to the conversation. A closed ended answer to an open ended question lets you know where they are…not interested. If it’s a more elaborate answer you know they are somewhat committed to the conversation. What has been your biggest struggle in high school and why? Do you have a crazy coach and how do you manage his craziness? What are you planning on majoring in college and why? Are you close with your parents and how supportive are they about (fill in the blank)? What are some struggles you’re having in your walk with Christ? How long have you been coming to church and what’s got you coming? What’s the attitude towards Christianity in your family? Listen with the mindset of asking a follow-up question. The best follow-up question is one that challenges a student to reveal more of them self through the conversation. So how did you feel about your parents saying that or doing that? So how has your decision to commit your life to Christ changed you? Why do feel your life is so stressful right now? The above are just a few examples to get your mind going. Each encounter will be different so you will have to make them up as you go. ← For Students: I Struggle!!! Great stuff. I love this. I think we all have had those conversations with students where awkward (well, I hope it’s not just me). You hit the nail on the head. The trick is figuring out where their passion lies. Once you know what they care about…bam…you got the conversation going. It’s hard sometimes to remember that students aren’t as interested in talking to us as we are in talking to them. So, we have to do the work of finding what THEY want to talk about. Open Ended and Follow Up questions….your dead on. I would only add to your post that we need to know the students and adjust the questions appropriately. A lot of the open ended question you have are great for students who have been around a while. But, a new students may get freaked out. With new students – I love warming them up with more shallow open ended question. Then, once I see an opening …. dig in. Dude, you’re welcome.You are very right…I added at the end that every situation is different and you have to adapt. If you read http://yoacblog.com/2011/11/27/hope-it-helps-hand-shake-hi-to-a-hug-goodbye/ just paste this into the address box. I’m super intentional when talking with students. The url I just added to this post should bring more clarity. I like not putting any pressure on the student to carry the conversation because I’m meeting them with a goal in mind. I want to share the love of Christ and get them connected. Also, concerning the new student getting freaked out, you are right. I would also add not to be afraid of stretching yourself and also pray to be lead by the Holy Spirit because some students might need you to go beneath the surface. I think the trick is to just listen and affirm and not try to solve or give advice right away unless you feel led. There was a study that came out a while ago about students whose family did not eat together got into more trouble than the ones whose family did eat together. Basically, the parents knew more about their kids by eating together because it brought about conversation. Which having kids I can definitely see how that can happen. I’m more apt to ask my daughter and son about their day and what’s going on in their life as we sit at the table and eat together as a family. So being intentional about meeting students is super necessary. Dude…continue reaching students for Christ..I’ll be praying for you and your ministry. “Hand Shake Hi to a Hug Goodbye!” – good stuff. I like it. You made another point I love ” I like not putting any pressure on the student to carry the conversation because I’m meeting them with a goal in mind.” The nail was hit on the head. So often I think that we in youth ministry just talk to students without a goal. Hey man. I hope things are going great at Saddleback. I’m looking for opportunities to guest post on other youth pastors’ blog site. I’ve loved your stuff. Wanted to see if you would be open to a guest posting.